We wanted to do something a little different this year. We are rounding up some of the best Black Friday deals that are artist-specific. This email is a heads-up to look out for Friday. 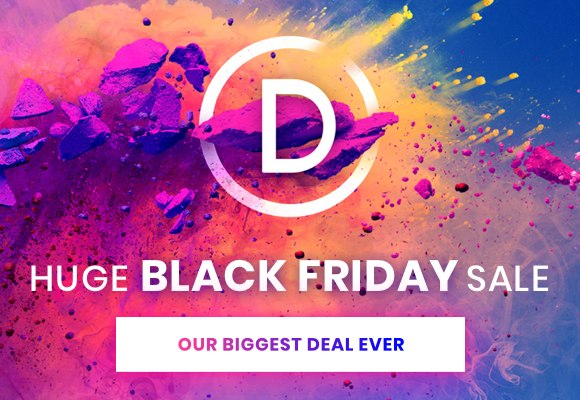 One of my favorite companies, Elegant Themes, is doing a week-long giveaway where you can win things like a brand new iMac just for entering, and their Divi theme is the best WordPress theme on the market. If you are looking to build a WordPress website for yourself, we’ve recommended Divi for years (I use it for several sites – here’s our review). Now they’re offering 25% off on Friday, and a bunch of cool goodies. Check out the giveaway page (affiliate link). Here’s a few more on the horizon. We’ll have a longer run-down on Friday, including Black Friday deals on several of our favorite books and other resources. If you use WordPress, you’ll need hosting. Bluehost is having a huge sale. You can get web hosting for as little as $2.95 per month if you pay for a year in advance. Here’s the link. Michael’s craft store has 40% off all regular priced items from noon to 10 on Friday and a bunch of great deals. 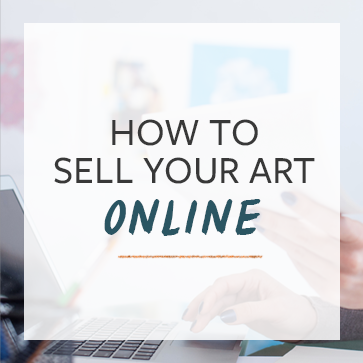 Lots of artists recommended this sale. Check our Tools & Resources page. We have a page with all of our recommended resources. You might check that page to see if any of those companies are offering Black Friday discounts. I wasn’t originally going to do this, but several artists suggested their sales, so I thought I’d offer this round-up. Acrylic portrait painting. I teach painting classes online and for Black Friday I am offering 50% off on my online course, “Paint Your First Amazing Acrylic Portrait.” I launched this course mid-last year and since then have taught over 100 students to paint portraits. I’ve heard back from many of my students and seen how they were able to paint a really nice looking portrait, their very first attempt. Got a Black Friday / Cyber Monday deal you want everyone to know about? Comment here and let us know before Wednesday morning so we can include it in Friday’s email. Hi Cory – just got your email thanks. Another great art website is http://www.dickblick.com up to 30% depending on spend. Thank you for the awesome suggested deals!